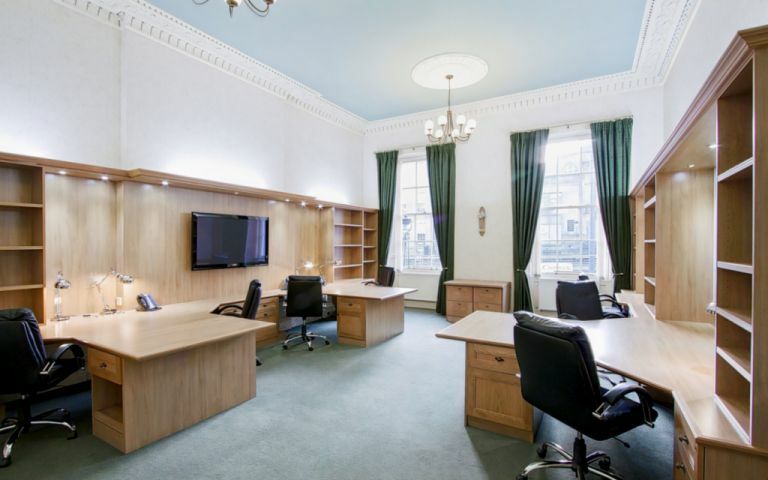 Luxurious serviced offices of varying sizes located in a listed building with original period features. Situated in the very heart of Edinburgh city centre, the building was once home to some of Scotland's most influential characters and dates back to 1805. With 13 office suites, 2 meetings rooms and a fully staffed reception, it has everything a business could possibly require while providing much needed flexibility. Situated in Edinburgh’s New Town, 2 minutes' from the central bus station and a 10-minute walk from Waverley station.